Apple® today announced the new Apple TV® featuring 1080p programming including iTunes® movies and TV shows, Netflix, Vimeo, photos and more in HD. With iTunes in the Cloud, customers can purchase and play their favorite movies and TV shows from the iTunes Store® and watch them instantly on their HD TV. The new Apple TV features a simpler, refined user interface making it easier than ever to access your purchased movies, TV shows and music with iTunes Match℠ right from iCloud®. 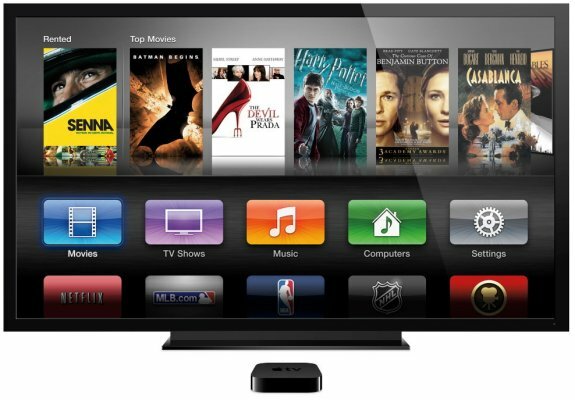 With AirPlay®, users can stream or mirror their favorite content from their iPad® or iPhone® 4S to Apple TV.